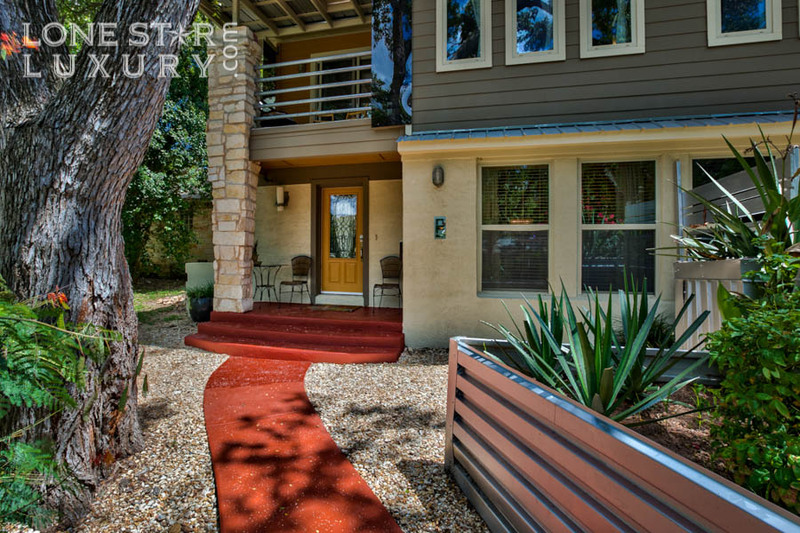 Located in the heart of Austin, the Rosedale community is one of the smallest yet most desirable zip codes in Texas. 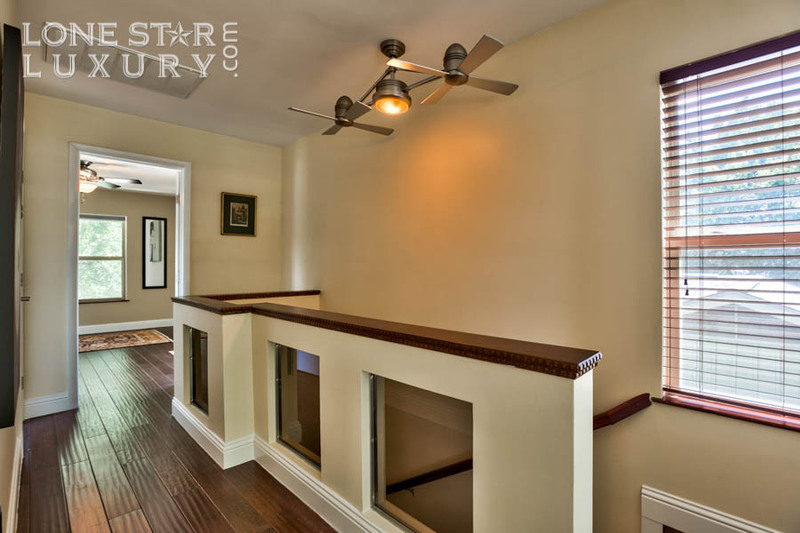 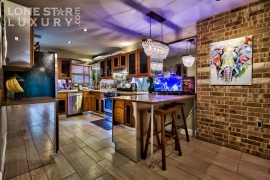 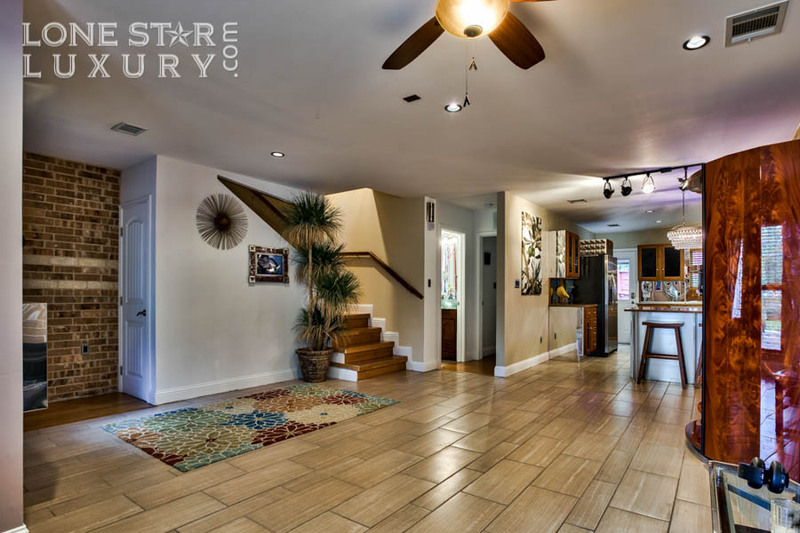 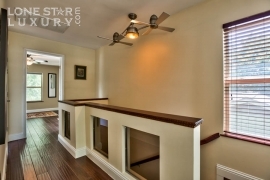 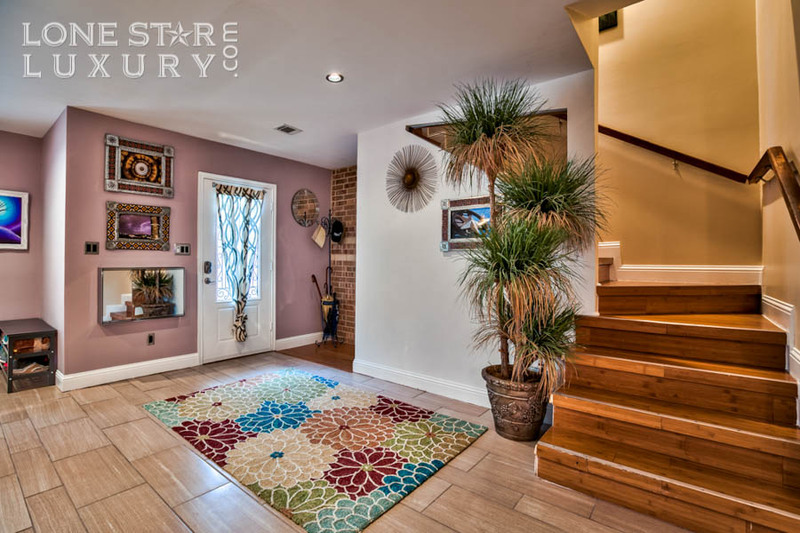 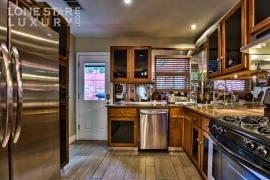 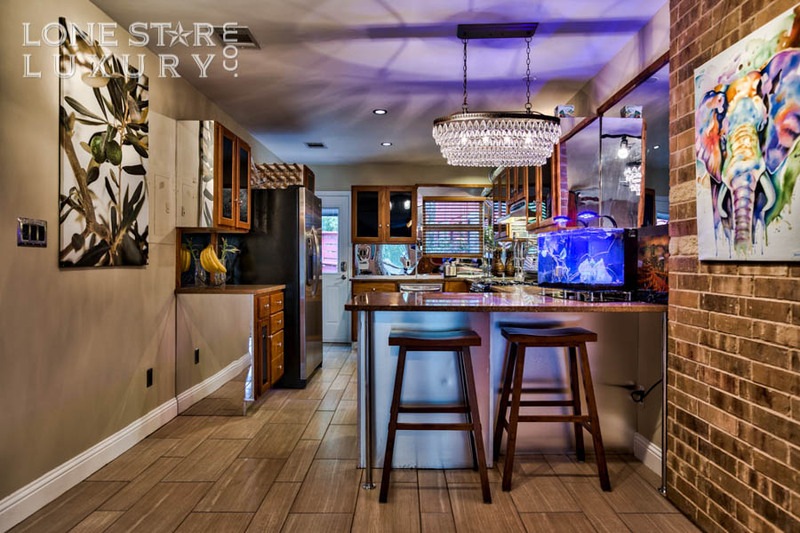 This Gorgeous Duplex has been condo converted into two individual 3 bedroom, 3 full bathroom condominiums, both with garages in the rear. 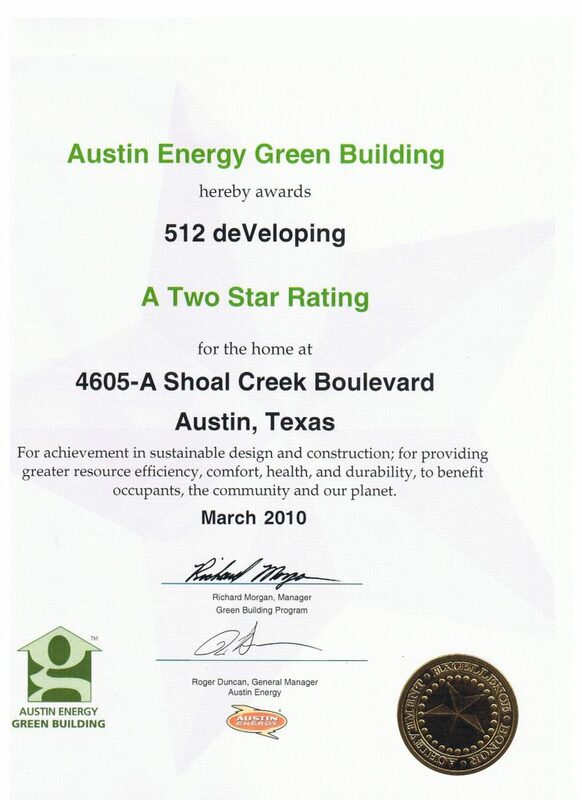 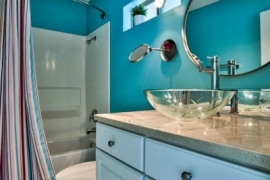 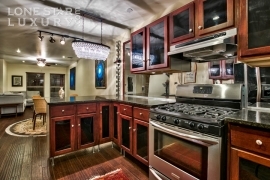 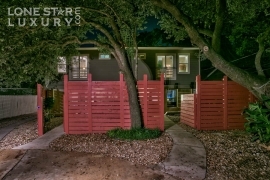 Beautiful high-end, green-rated, condominiums with no HOA dues. 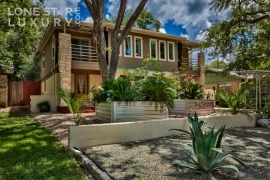 The Rosedale neighborhood is located in north central Austin, Texas. 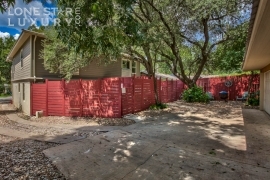 The neighborhood borders on 38th Street to the south, Shoal Creek to the west, North Loop / Hancock Drive to the north, and Lamar Boulevard to the east. 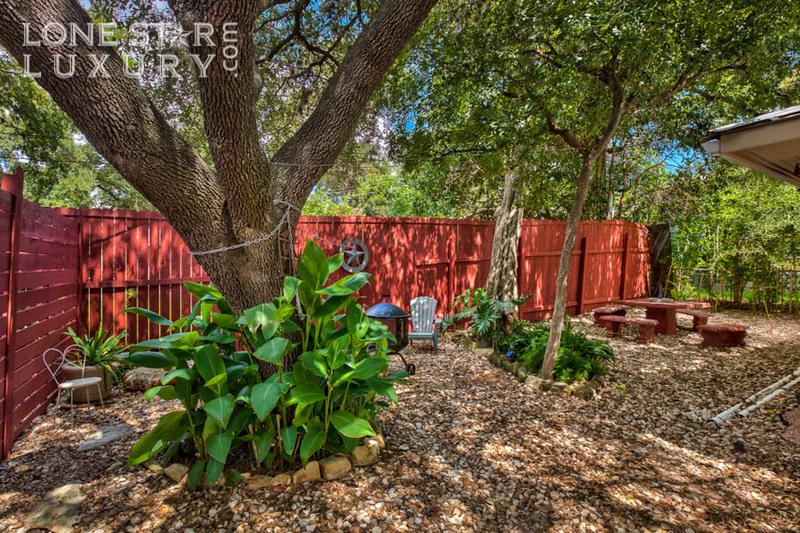 Ramsey Park is located in the heart of the neighborhood, and has a swimming pool, tennis courts, playgrounds, and picnic areas. 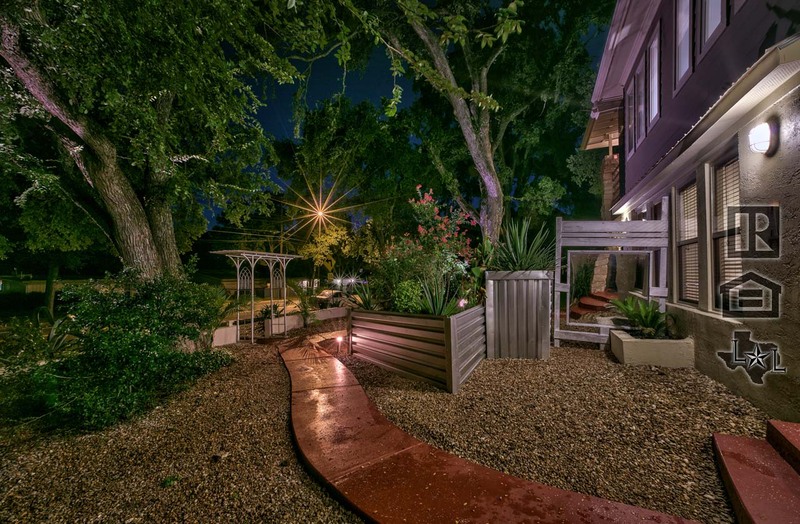 There are over 1200 homes in the area, a wide variety of businesses within easy walking distance, and an extensive network of medical services close at hand (including Seton Hospital, Austin State Hospital and Texas School for the Blind and visually impaired). 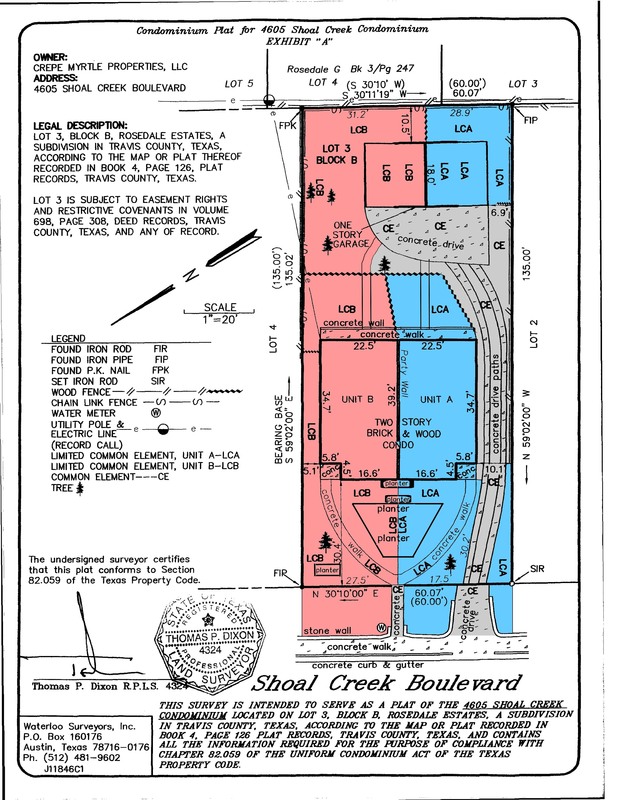 The Rosedale neighborhood began from farm and dairy land in the 1860s. 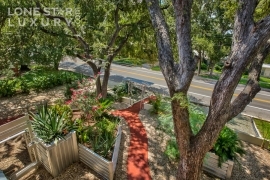 In the 1900s, four florists and nurseries found their home in this area; much of the nursery stock planted during that time remains, as witnessed by the many large trees in the neighborhood. 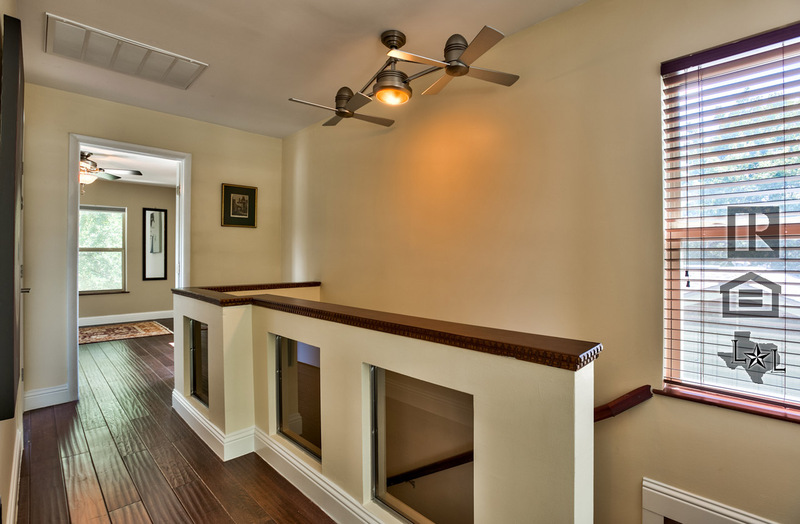 The majority of the homes in the Rosedale area were built during the 1930s and 1940s. 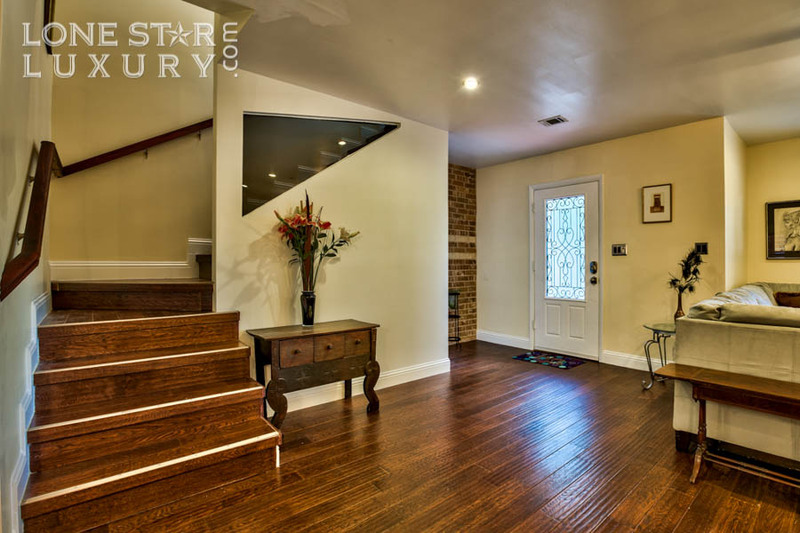 There are continually many renovation projects and new construction throughout the neighborhood, which lends a sense of vitality and renewal. 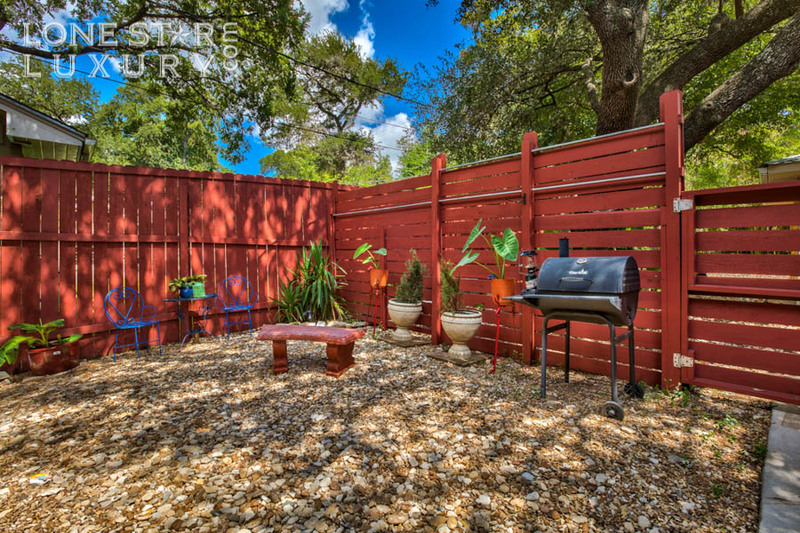 The population of the neighborhood is a fabulous blend of young families, single professionals, and original owners who raised their children here and have many tales to tell. 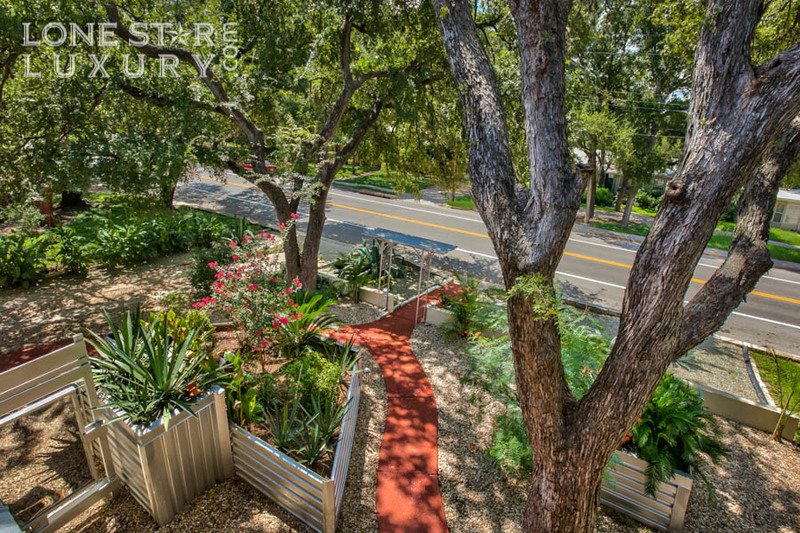 Beyond the delightful charm of the area, the Rosedale neighborhood’s location makes it one of the most desirable of Austin’s neighborhoods. 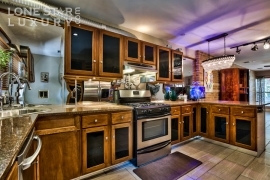 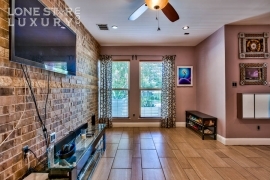 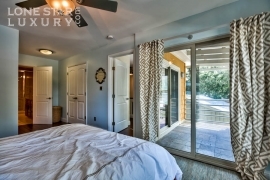 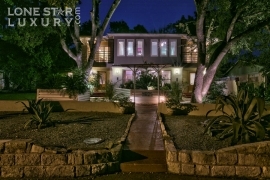 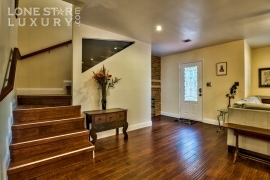 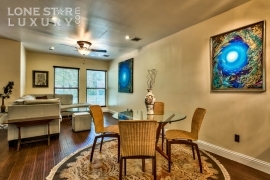 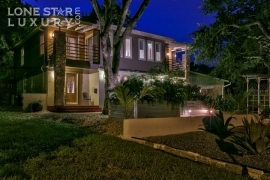 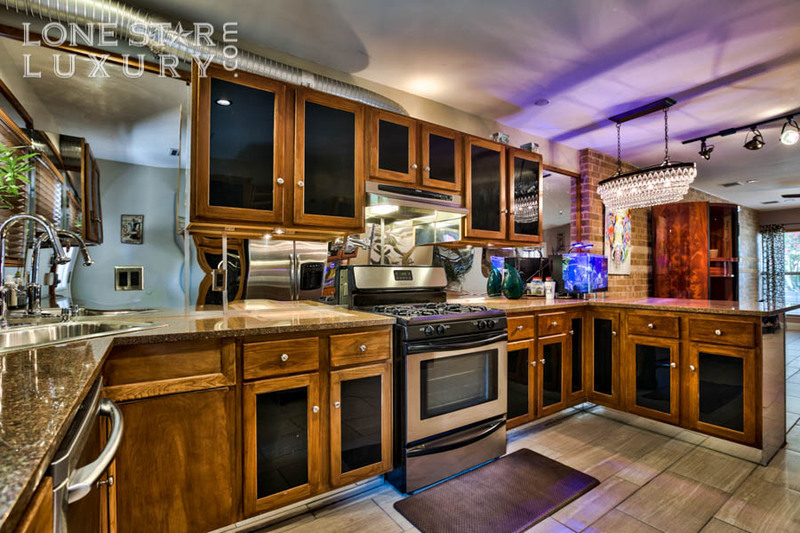 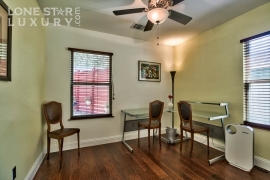 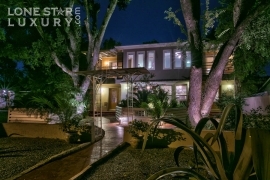 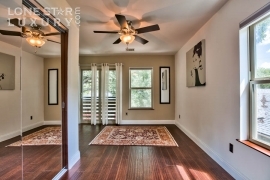 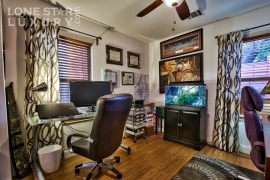 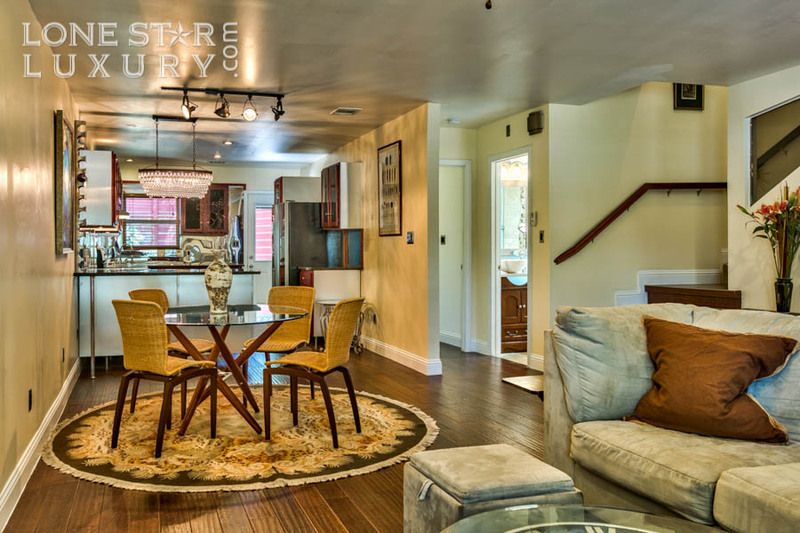 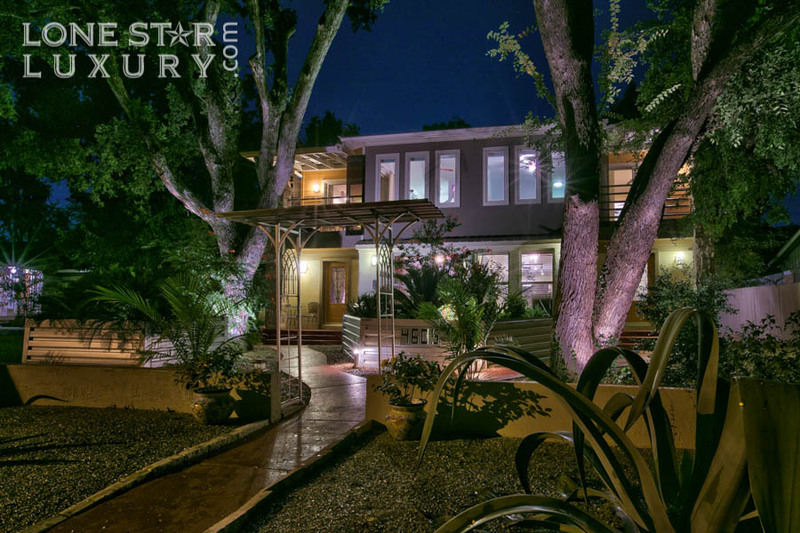 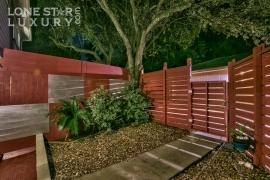 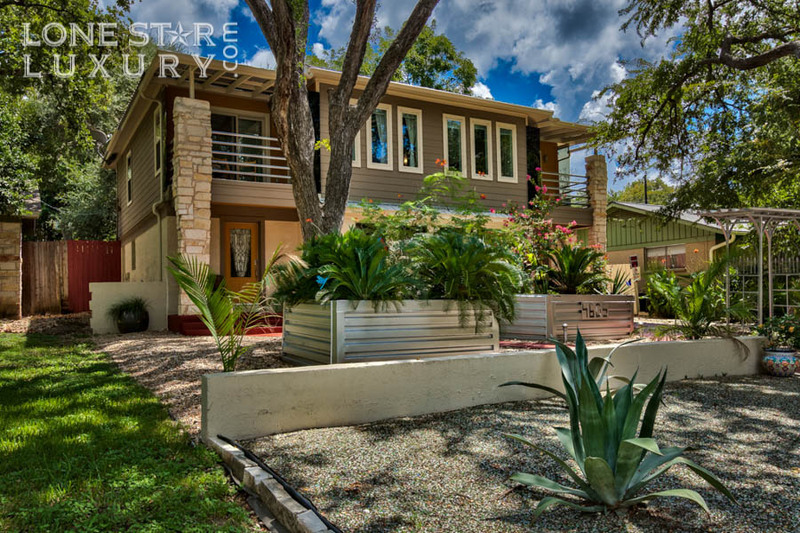 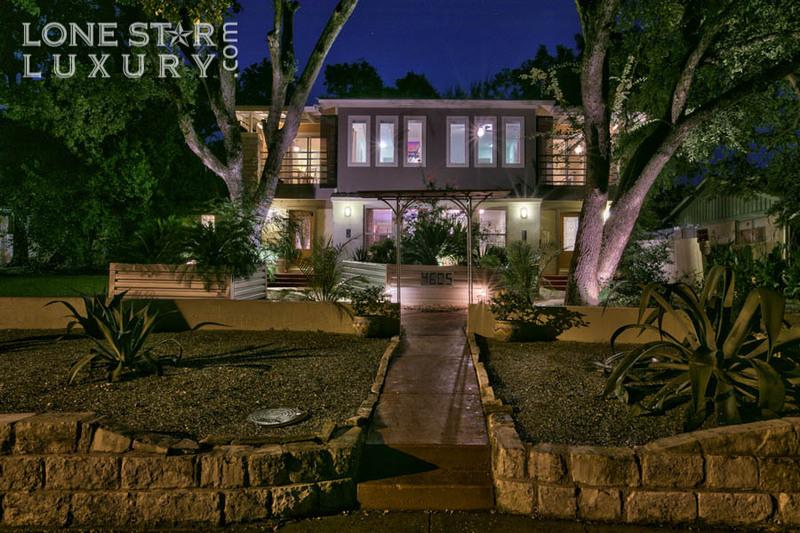 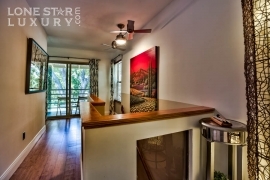 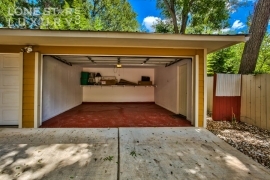 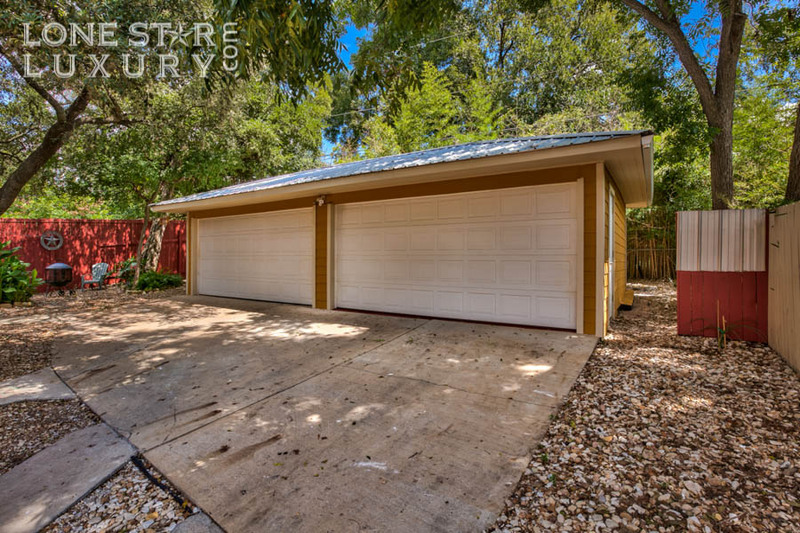 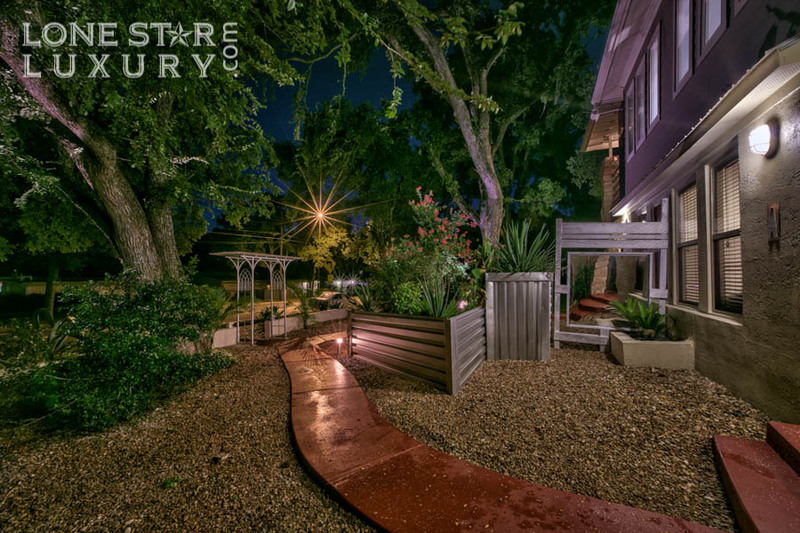 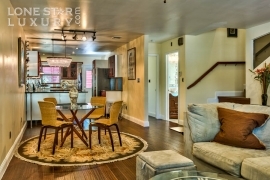 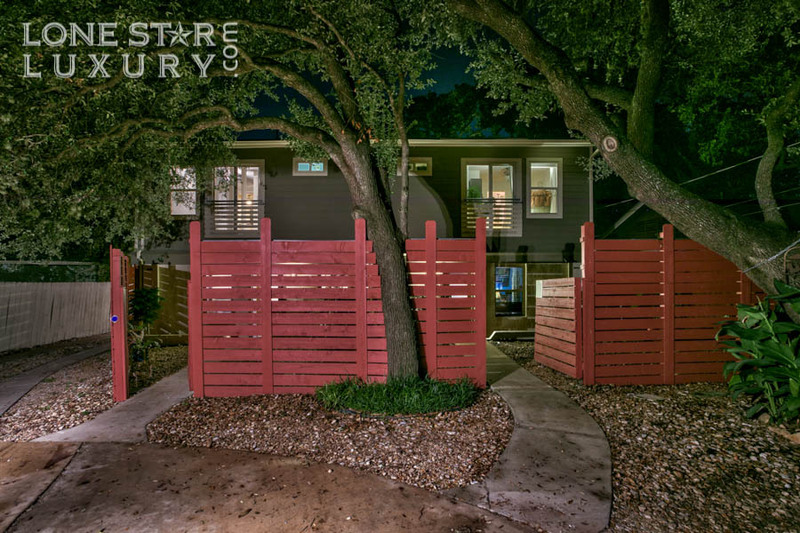 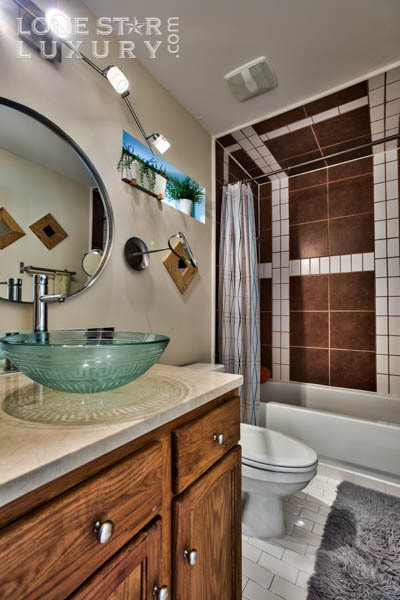 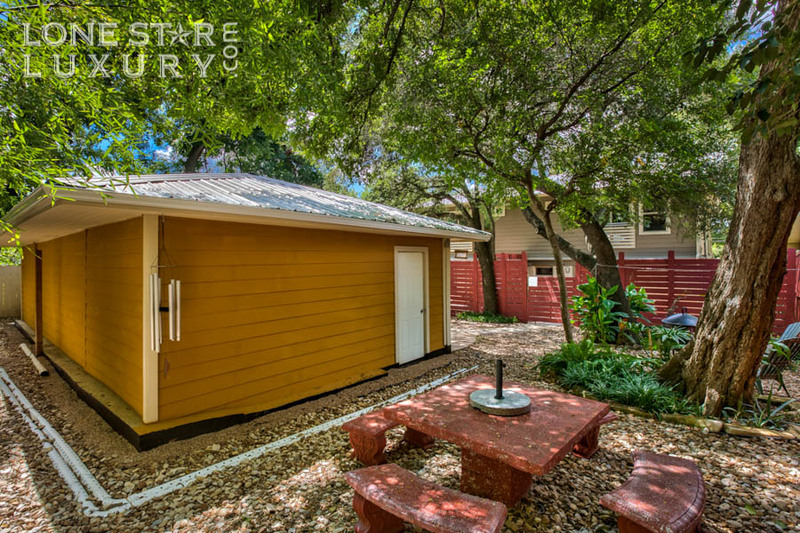 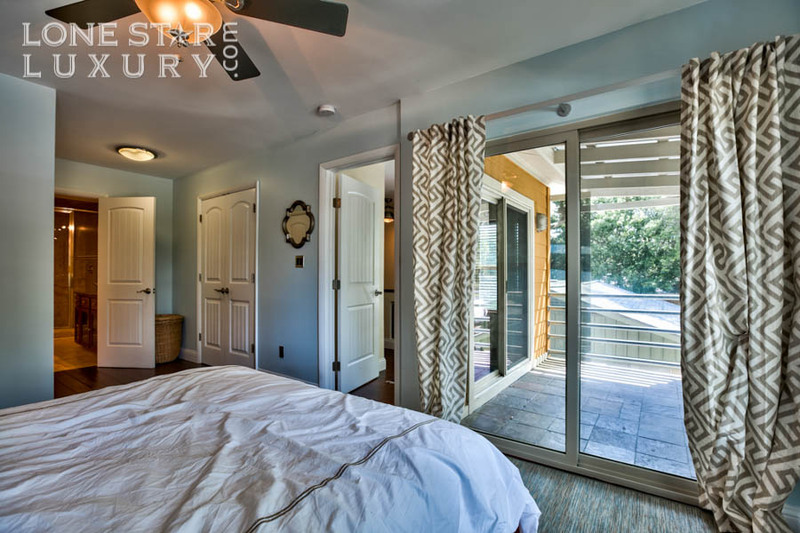 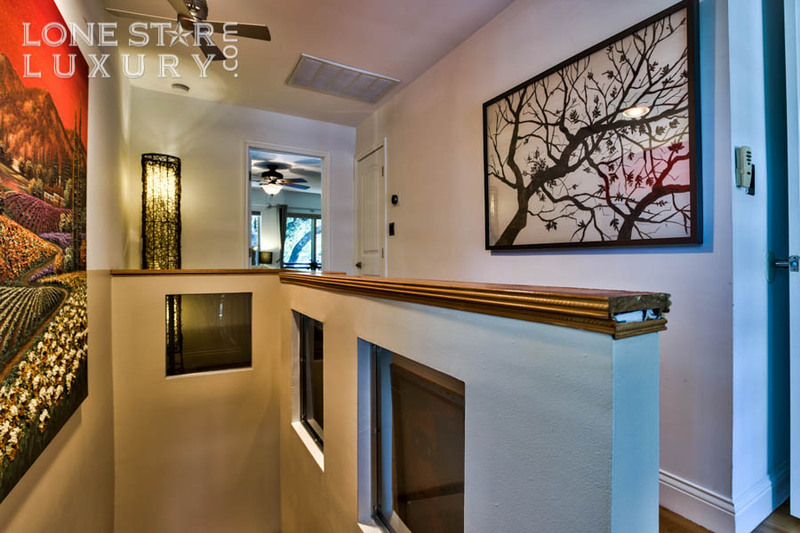 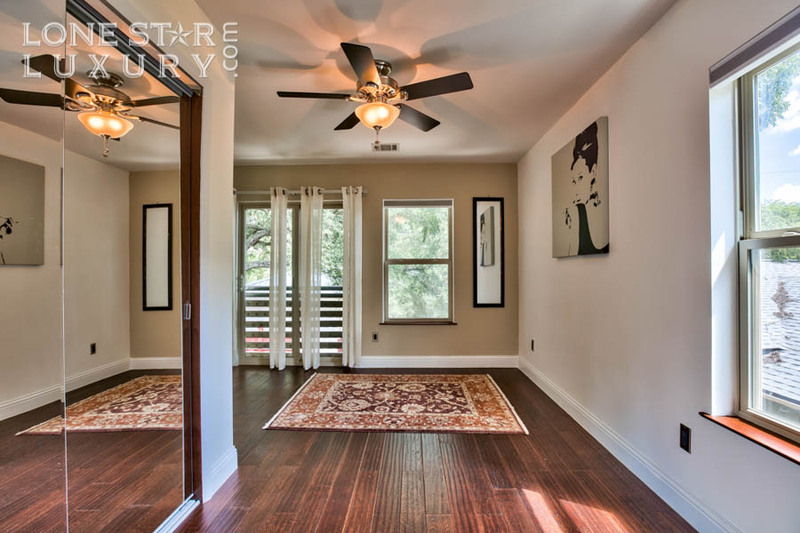 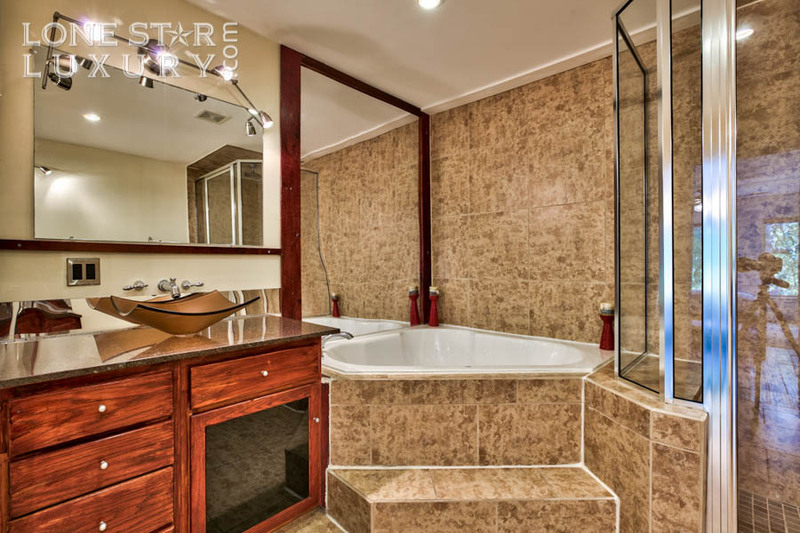 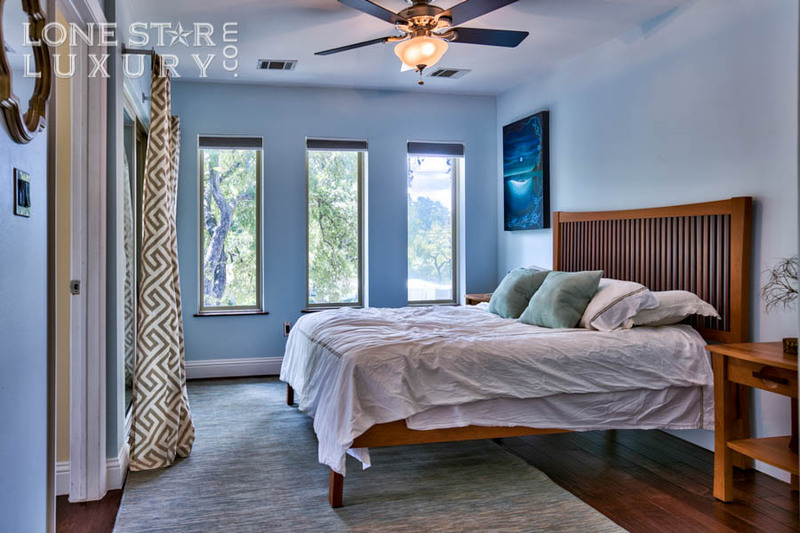 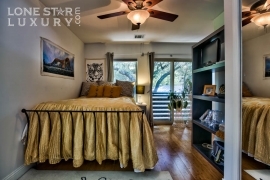 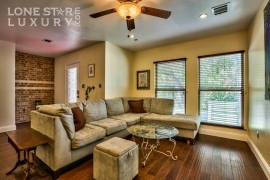 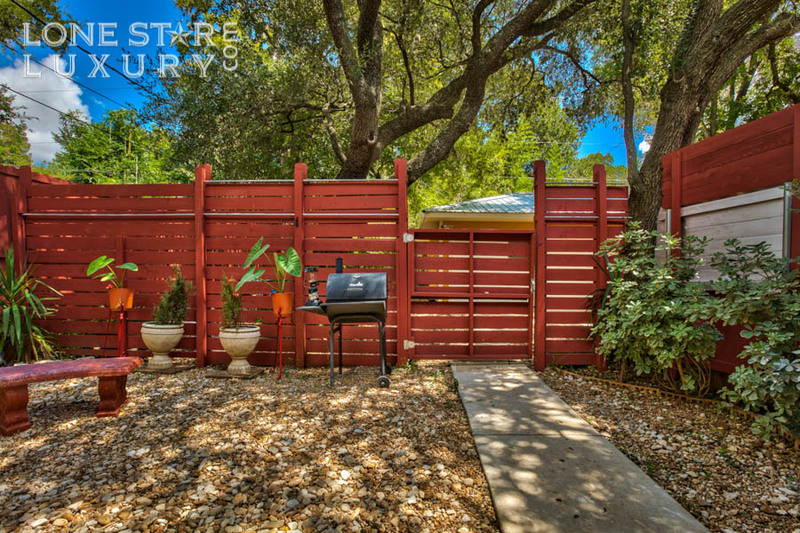 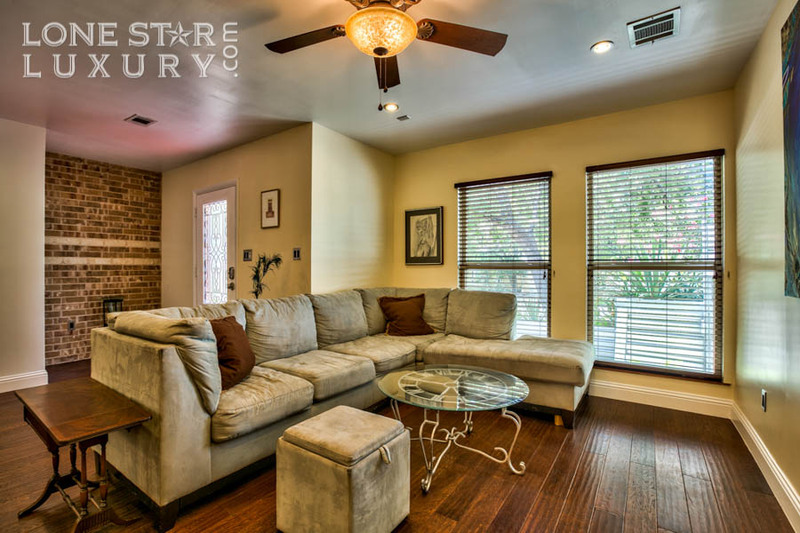 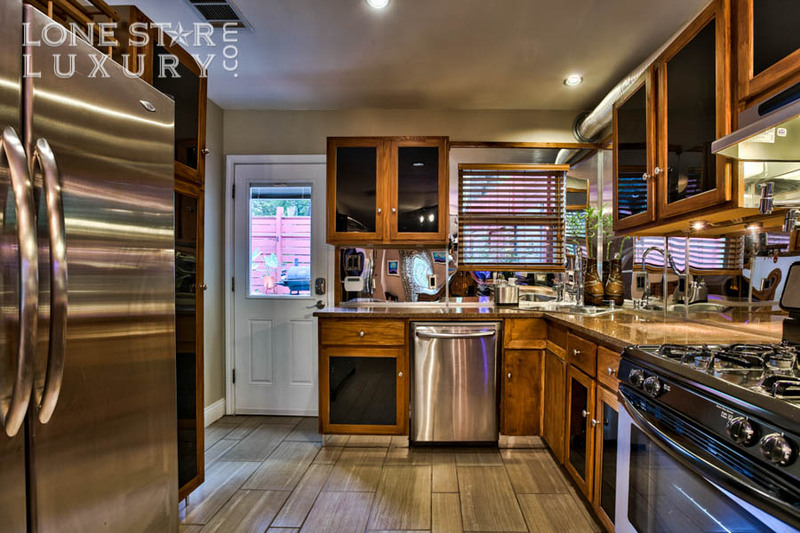 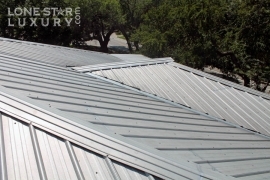 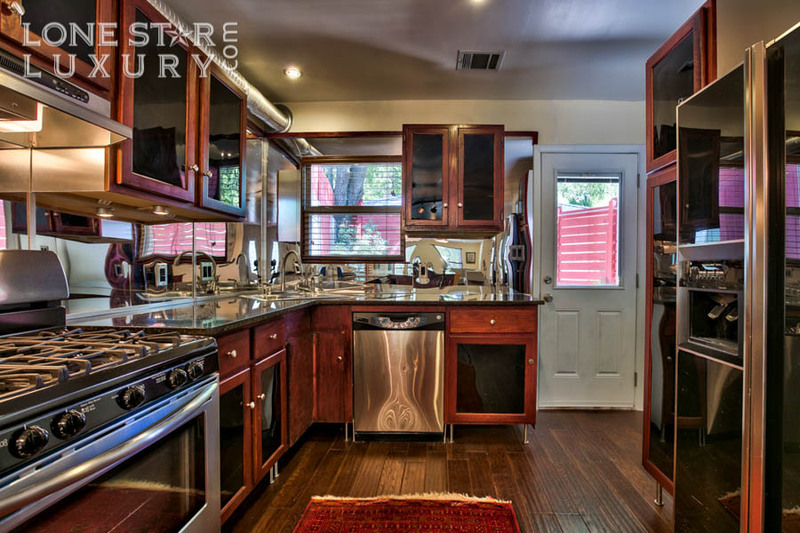 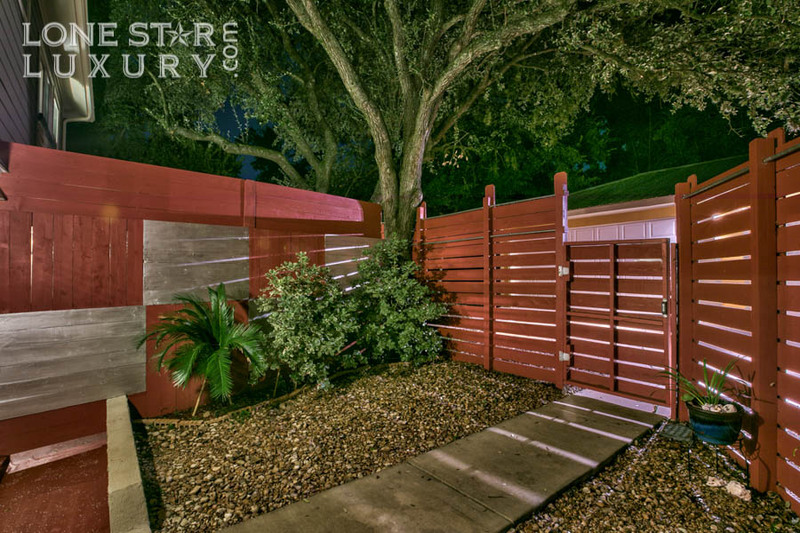 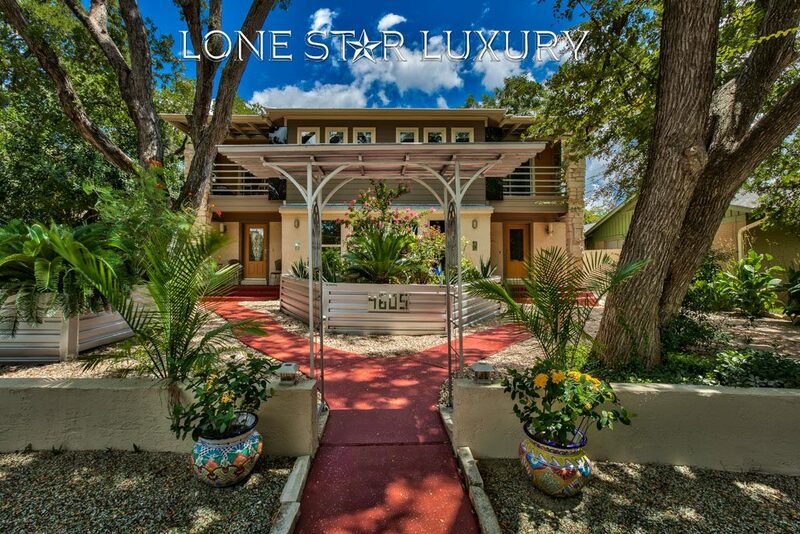 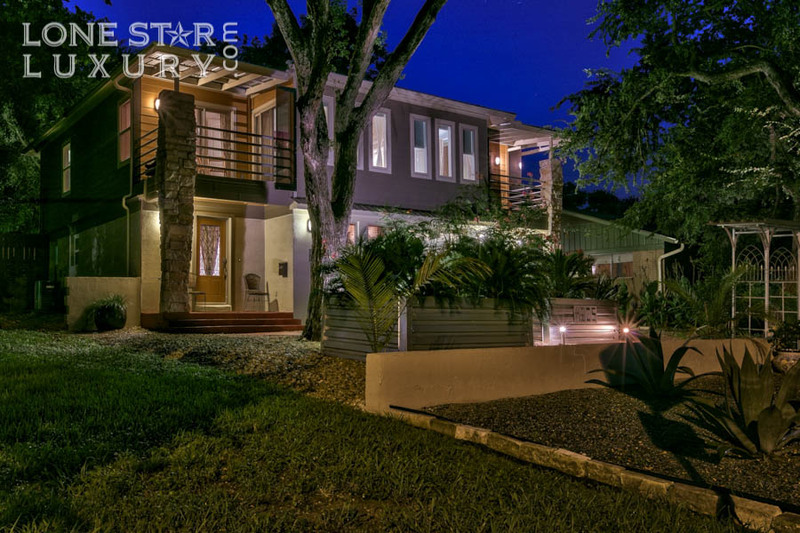 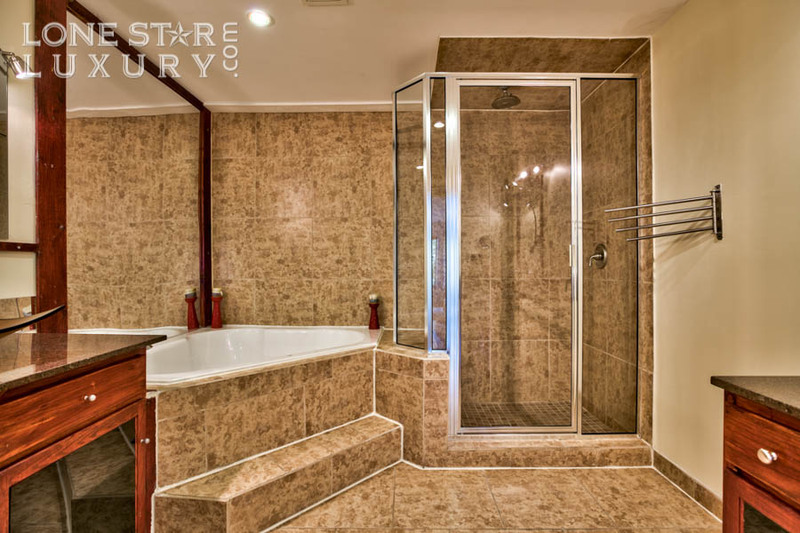 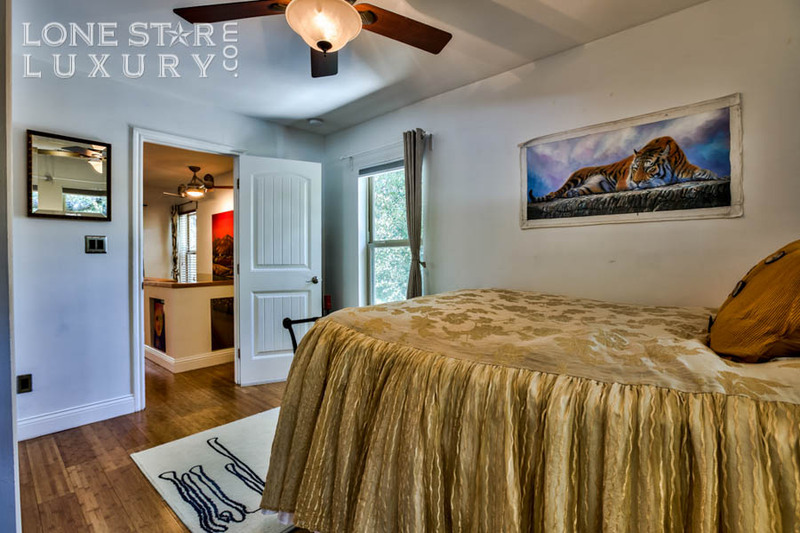 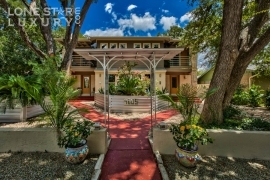 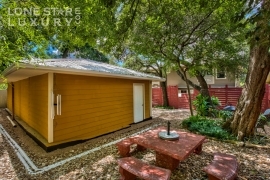 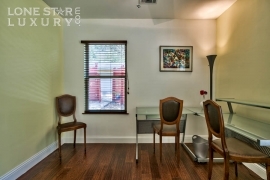 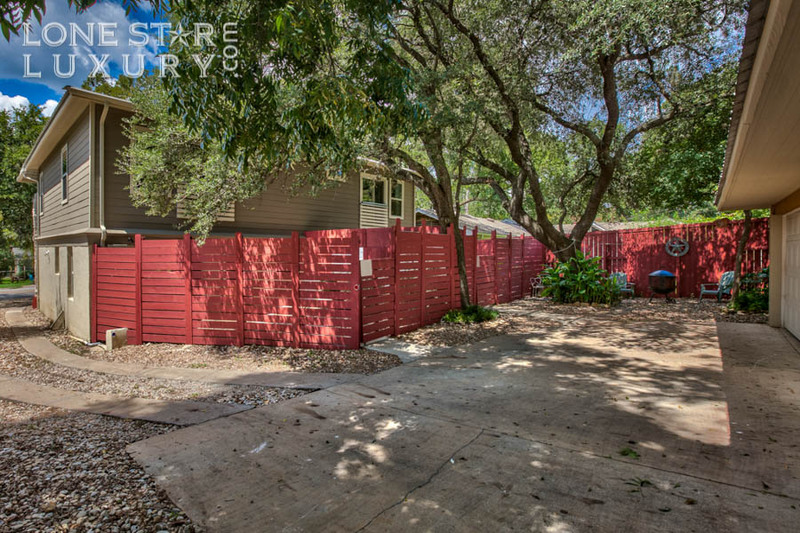 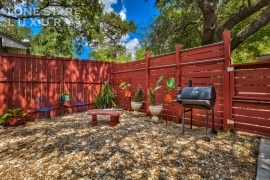 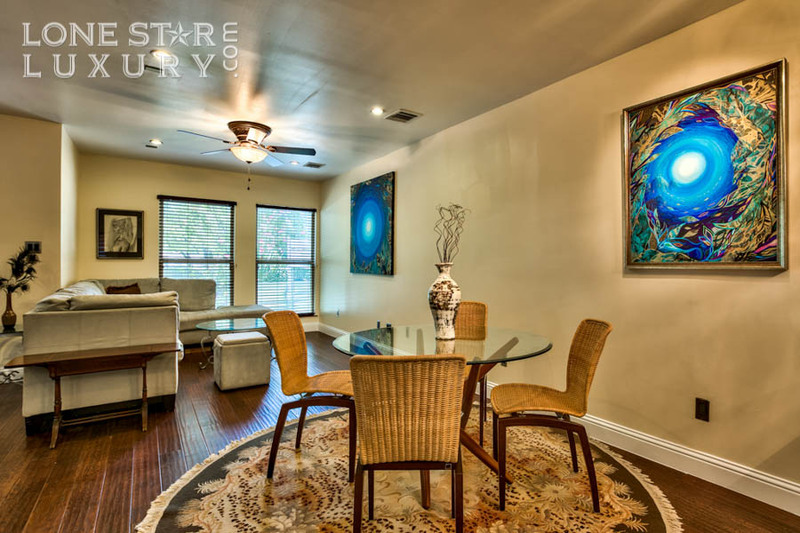 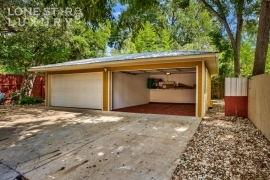 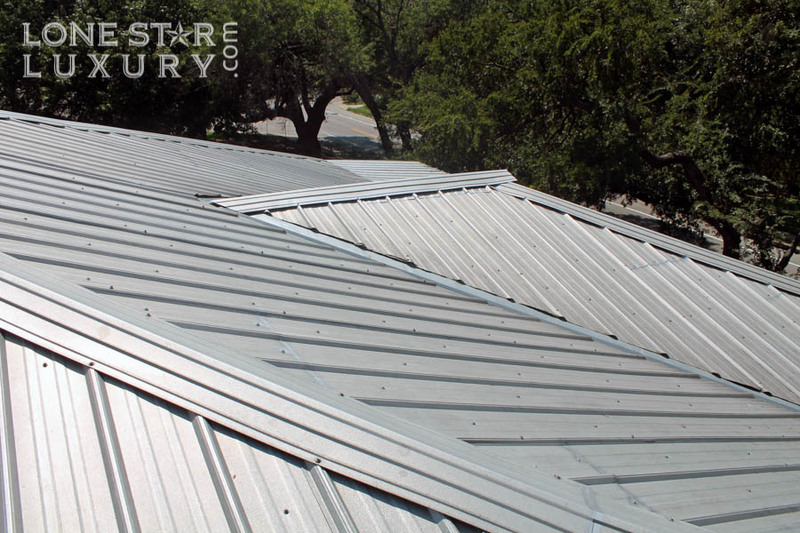 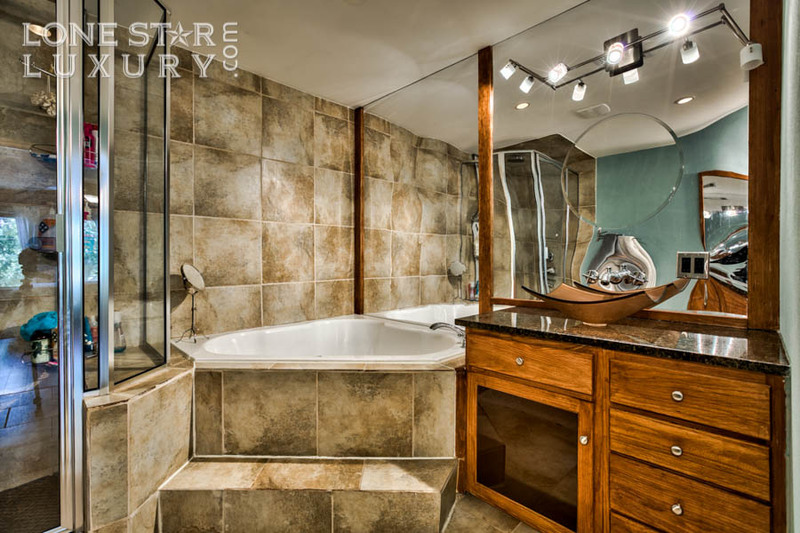 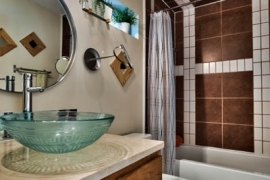 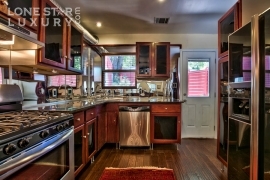 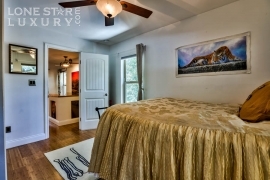 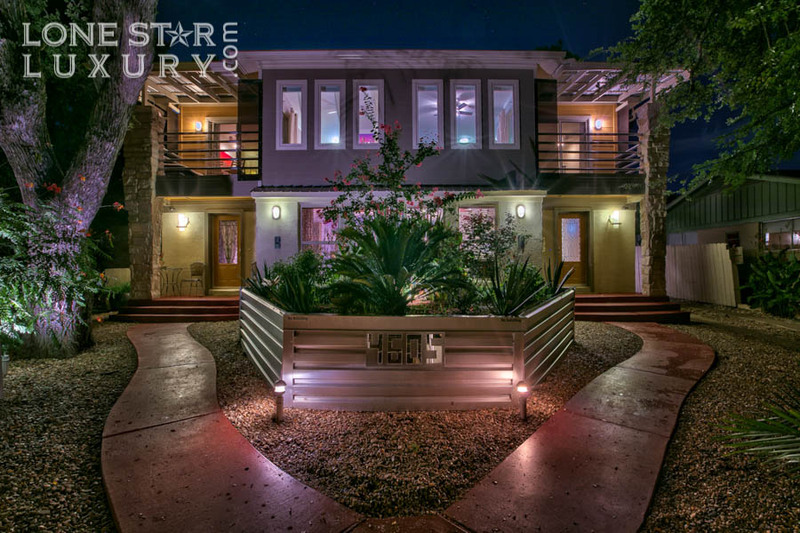 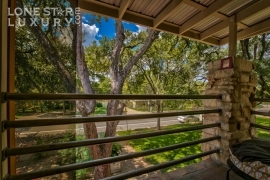 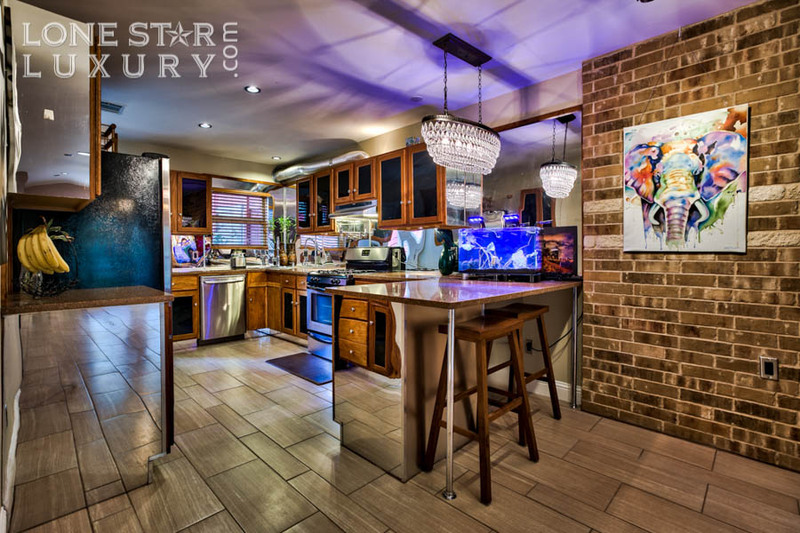 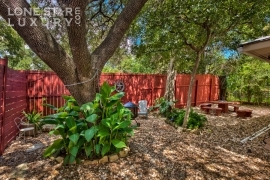 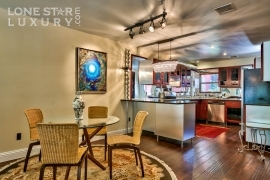 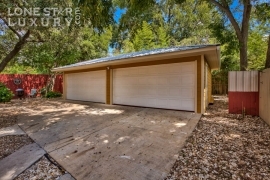 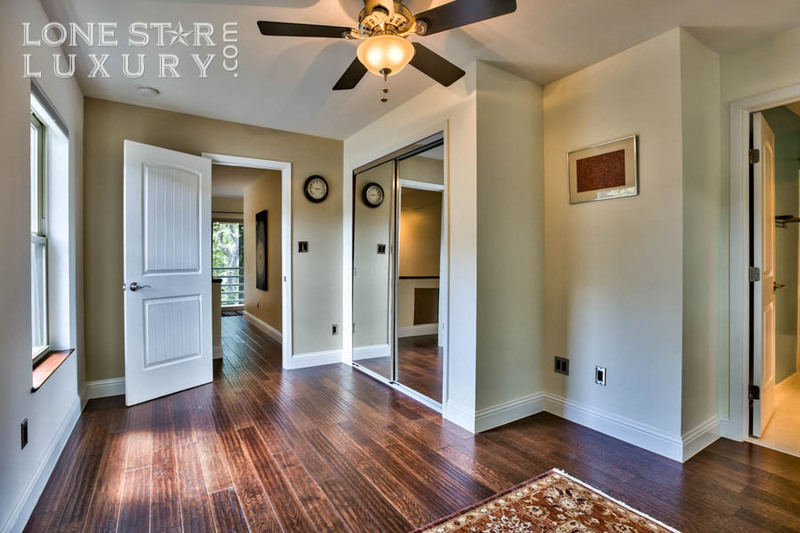 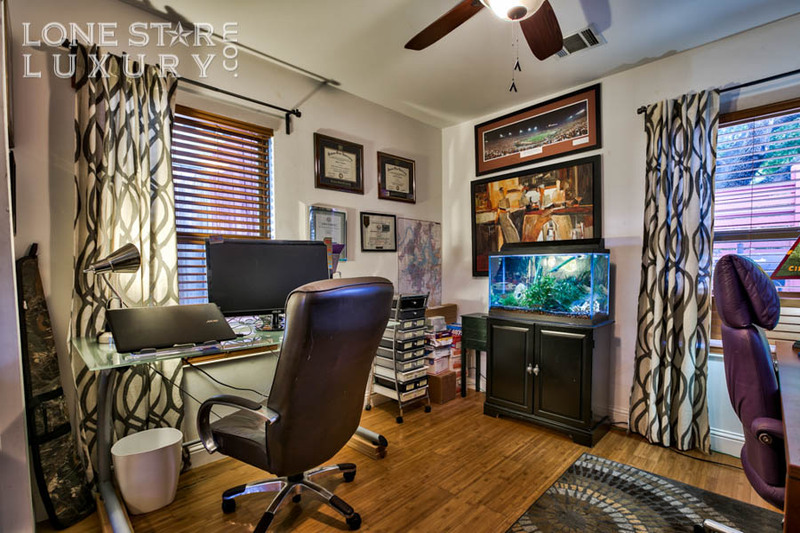 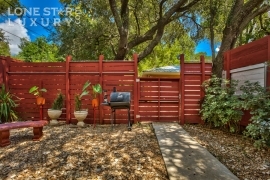 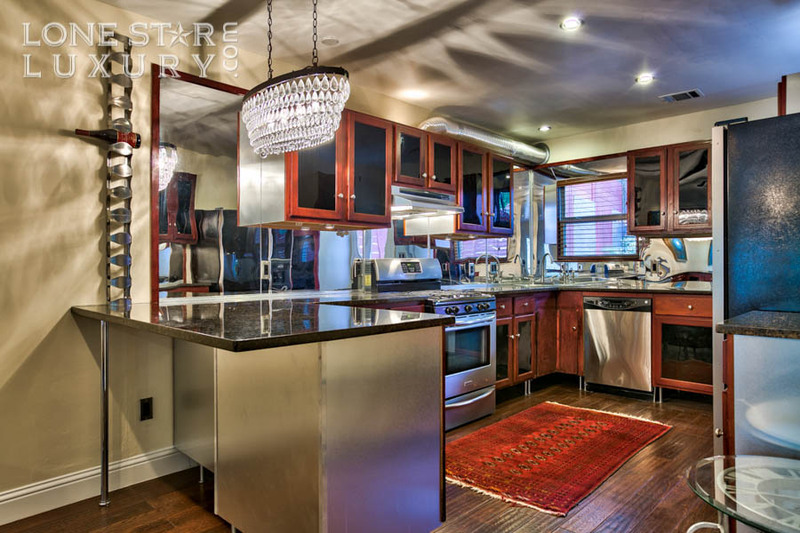 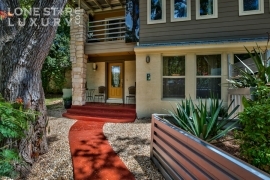 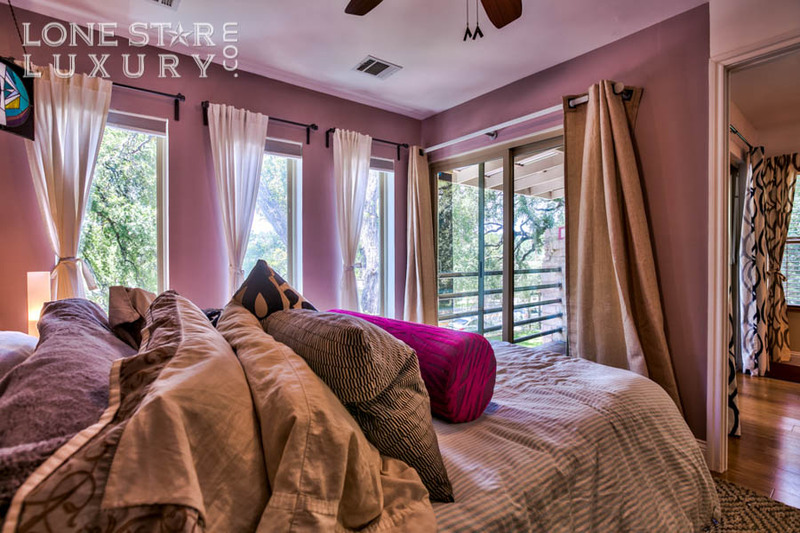 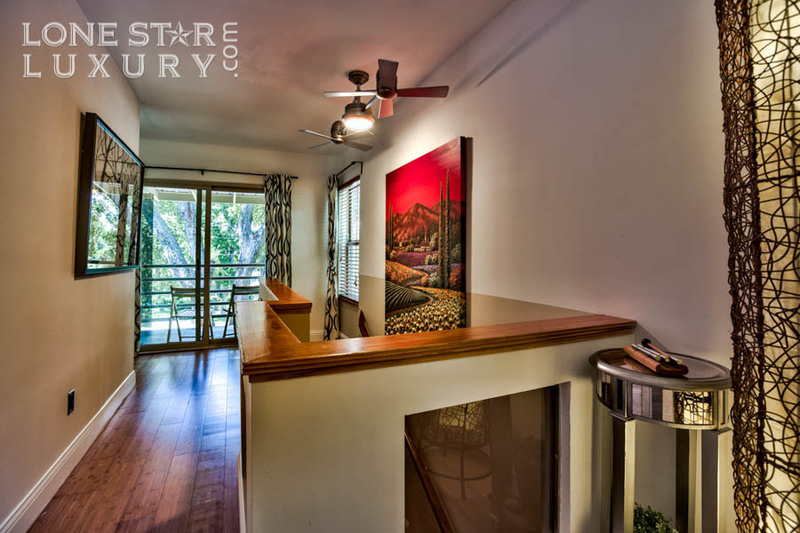 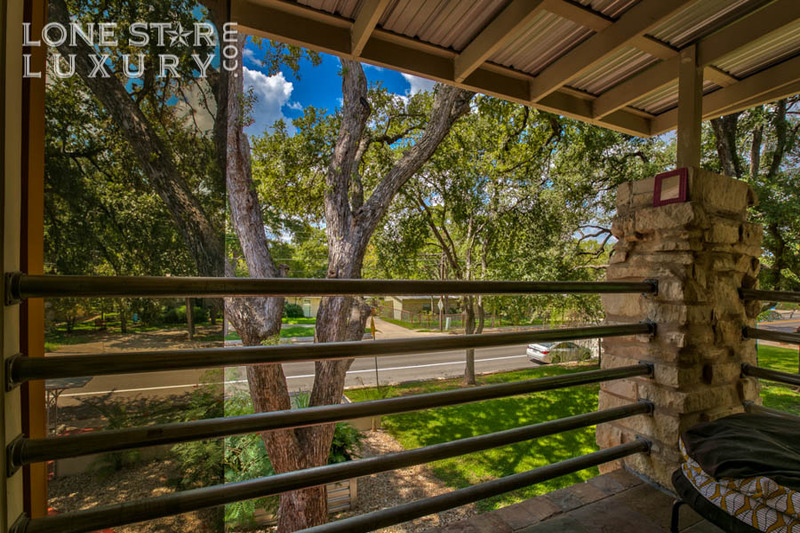 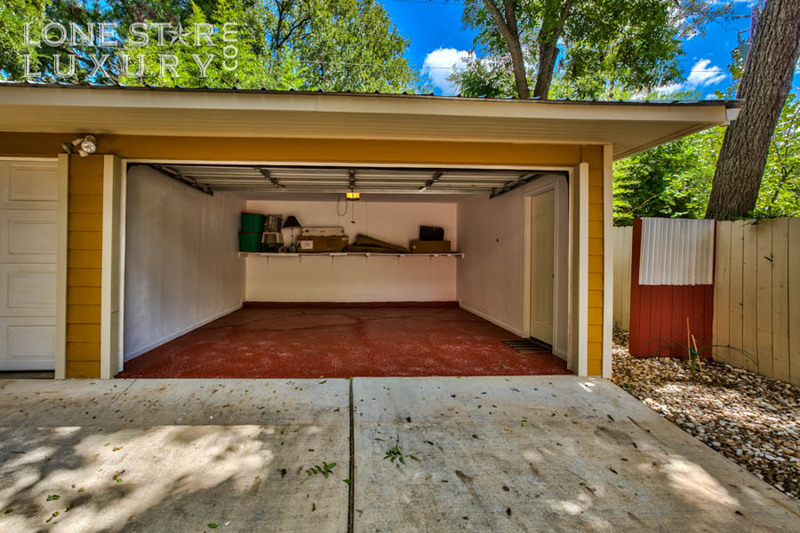 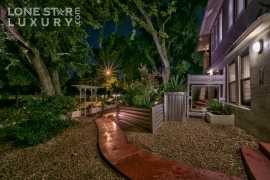 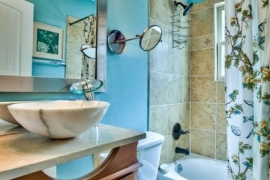 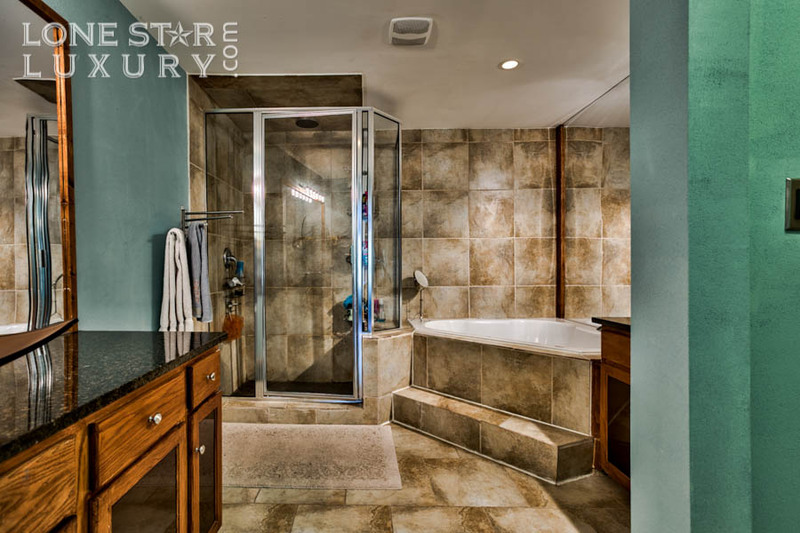 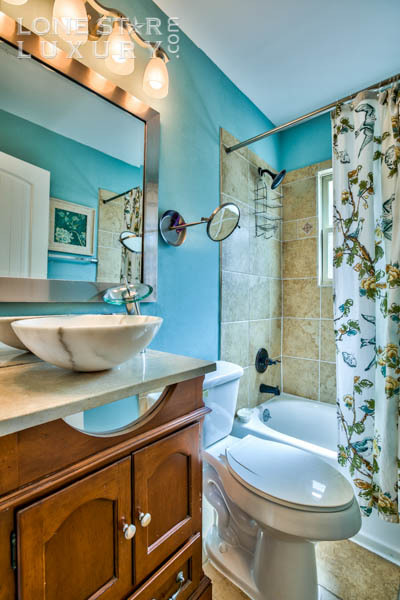 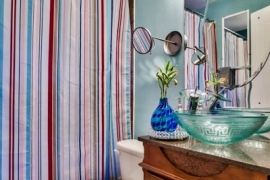 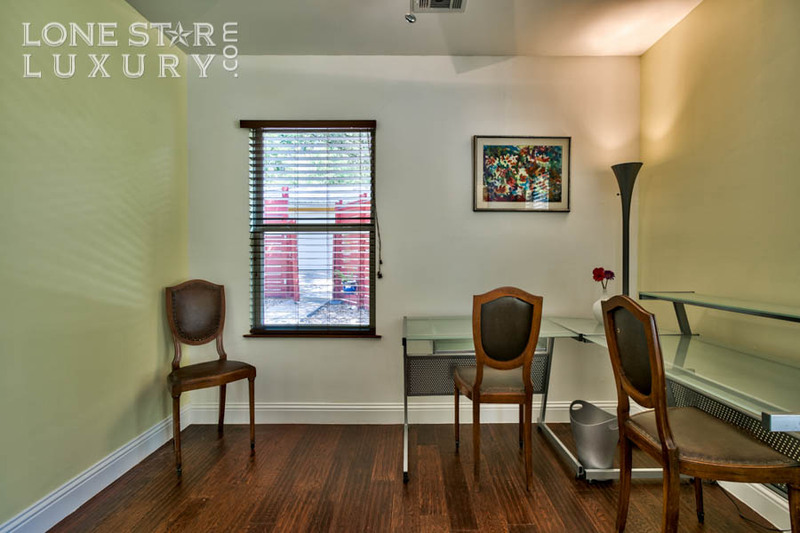 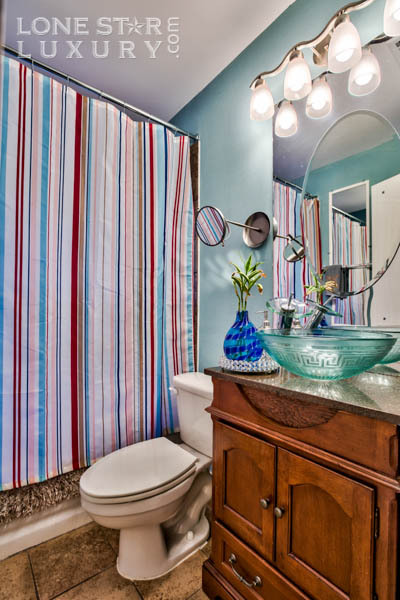 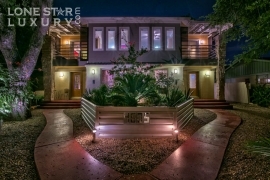 There is a close proximity to the Texas State Capitol, downtown Austin, and the University of Texas at Austin, as well as easy access to the main thoroughfares of the city. Oh, and don’t forget about SHOAL CREEK TRAIL, a scenic walk through Austin that meets up with town lake is very popular with bikers and dog walkers. 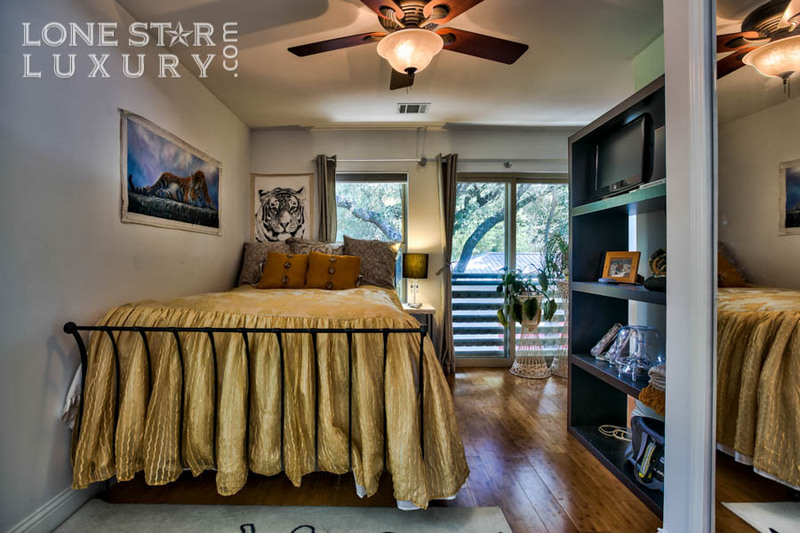 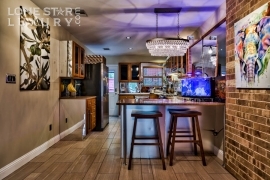 Living on Shoal Creek Trail is bragging rights and the price ceiling is much much higher than we have priced this high-end duplex. 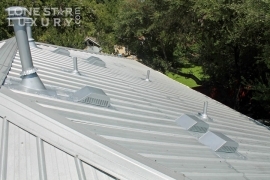 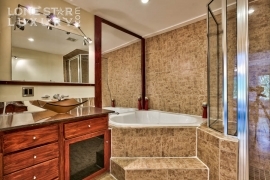 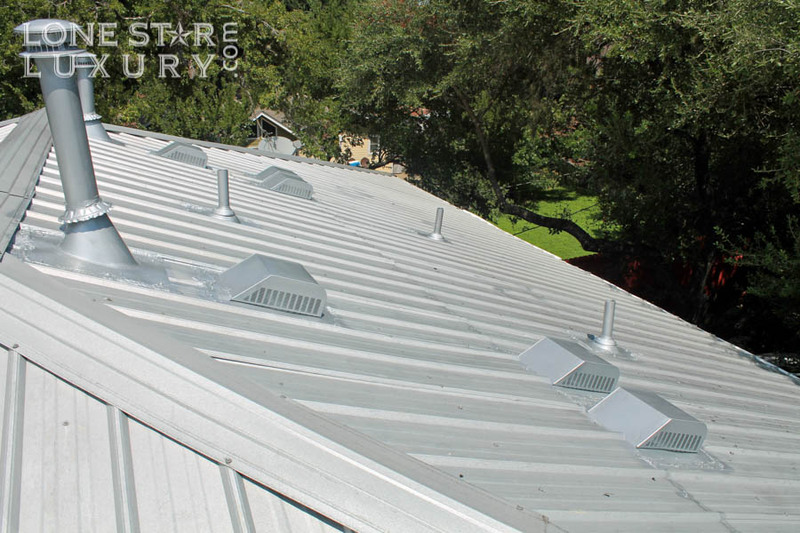 Suite B $470,000 SOLD, but we have others, contact us. 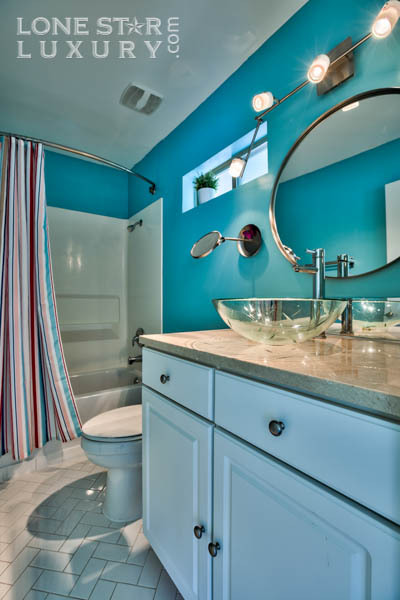 2009 full remodel, home was taken down to foundation and partial 1st floor framing then built new from there.